We are excited to announce the arrival of Aveda’s long awaited Texture Tonic. Our Stylists have been hoping for a product like this for a long time and are so far really enjoying working it into our guests hair to create some versatile textured looks. 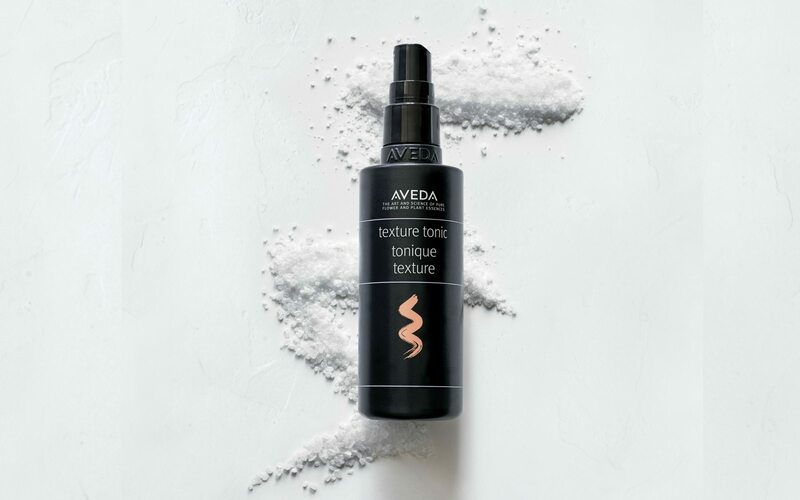 Unlike most Sea Salt Sprays on the market, Aveda’s Texture Tonic is over 94% naturally derived and has a unique balance of ingredients that combine the raw grip of Magnesium Sulfate (also known as Epsom Salt) with the hydrating and softening properties of Cane Sugar. This helps you to achieve effortless-looking, tousled texture without the crunch and dried-out feeling.